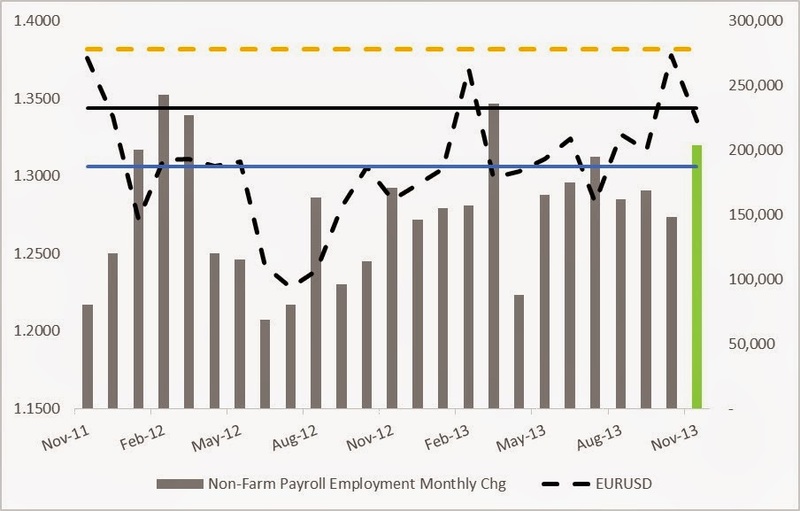 EURUSD eyeing its two year average after failing to breach the 1.3800 level last month. 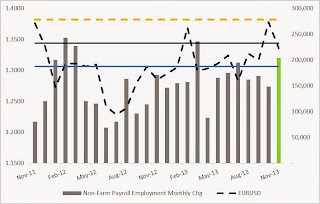 The EURUSD remains under pressure after a better than expected November, 2013 USD Non-Farm Employment report and surprised ECB Rate Cut last week. Our Currency analyst believe that the EURO is subject to Technical volatility against the Dollar at least in the short term. Technical Outlook: Neutral with the potential for the EURO to continue moving lower but a Dollar correction is not off the table.